Solo Concerts feature Ms. Temo’s programs of classical/flamenco guitar and voice, and sometimes an additional flamenco dancer. She has been featured in several guitar festivals and musicand guitar series in the US and abroad. 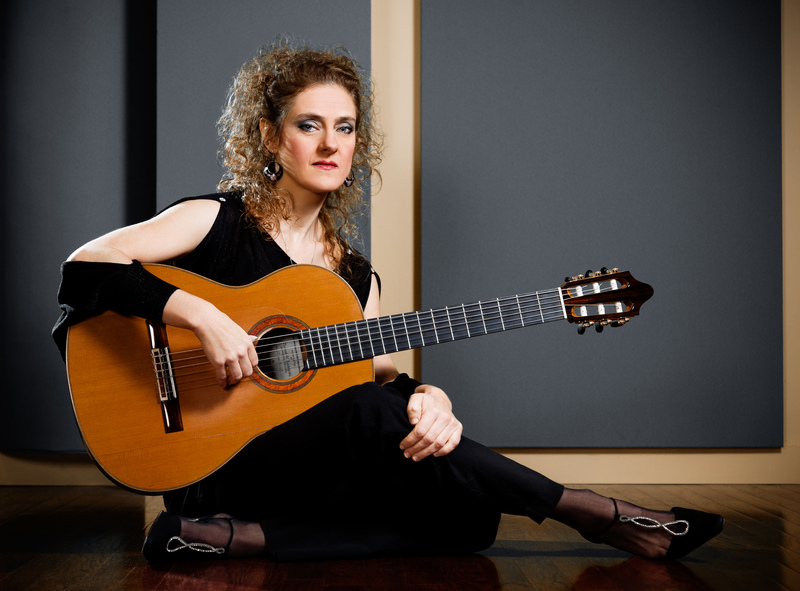 These have included: The Guitar Foundation of America International Guitar Festival and Competition (2017), Fullerton, CA (where she was a guest soloist and a judge for the competition, and received reviews in Soundboard and Classical Guitar Magazine); International Guitar Festival Series in Asunción, Paraguay, “Women Guitarists and Composers” in Radford, VA; VCU Flamenco Guitar Festival, Richmond, VA; The First World Guitar Congress (where she was also a guest speaker in a symposium with David Russell and Tuck and Patti), Towson, MD; The New York Guitar Festival, NYC, NY; The Ellnora Guitar Festival, Champaign, IL; the Blossom Music Festival, Cleveland, OH; Fairfax County Virginia Summer Series, Vienna, VA; LMU Guitar Festival, Los Angeles, CA; the Baltimore, Connecticut, Calgary, and St. Louis Classical Guitar Society Series; GSFA (Guitar Society of Fine Art) Classical Guitar Society Series, Pittsburgh, PA; The Theatre at Washington, VA (where she shared the stage with Gene Bertoncini and Frank Vignola), The Baldwin-Wallace World Music Series, Berea, OH. ; Headliner concert for the Festival of Trees and Music at the Wisconsin Conservatory of Music, Milwuakee, WI; and solo concerts on the Zac Brown Band Southern Sailing Ground Cruise. Ms. Temo was featured in Classical Guitar Magazine’s (April 2012) issue. For more info see http://www.marijatemo.com. Concierto del Fuego is available for digital download on http://www.cdbaby.com/Artist/MarijaTemo and other music sites such as Amazon and itunes. .
Marija Temo with the ASO in Mid Atlantic Premier of Concierto del Fuego (Concerto of Fire), a flamenco/classical guitar concerto written for Temo. 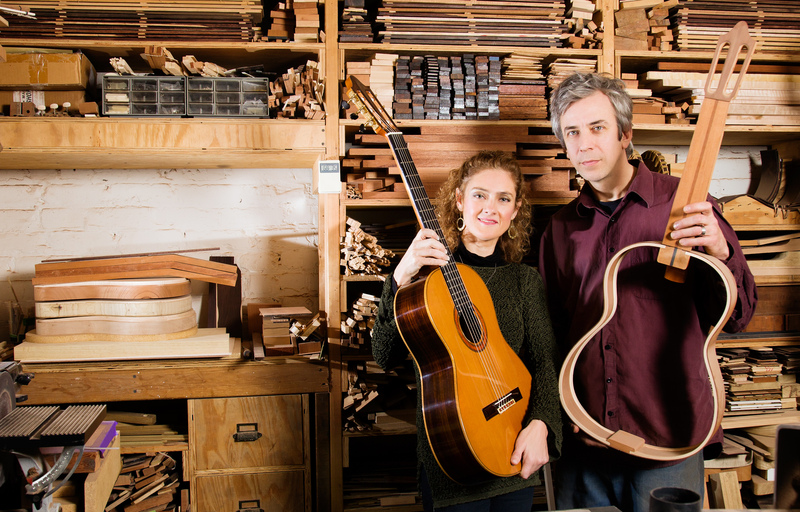 Interviews with Marija Temo, Loris Chobanian (Composer), and Tom Rodriguez (Luthier). “Courtesy of CN8, the Comcast Network”. For more information, http://www.marijatemo.com. Concierto del Fuego is available for digital download on http://www.cdbaby.com/Artist/MarijaTemo and other music sites as Amazon and Itunes. AKRON. OHIO native Marija Temo is a flamenco guitarist who has been working with luthier Tom Rodriguez to create a hybrid classical-flamenco model guitar. In addition to writing a forthcoming flamenco method book for Mel Bay which will feature her unique notation system for reading flamenco rhythms. Her third CD will be released later this year featuring works for guitar in the flamenco/classical style with solo flamenco vocal and guitar arrangements of popular Latin American songs. She was the featured artist in an award-winning television commercial for GE Capital and Taylor Guitars that had her serve as a flamenco-playing body double for GE Capital sales executive Deb Barker. Temo received her Masters degree from the Peabody Conservatory of Music where she studied with Manuel Barrueco. She is a former faculty member of the Preparatory at the Peabody Institute Johns Hopkins University where she founded the flamenco guitar program. Composer Loris Chobanian, who she studied with at the Baldwin-Wallace College Conservatory of Music, wrote his Tango Fantasy for guitar and orchestra and his guitar concerto Concierto del Fuego for her. Temo had been asked to audition for a Taylor Guitar television commercial and had been asked to play fast scale passages, which she developed into various flamenco-style samples. The entire audition process took over one and a half weeks. Temo also was asked provide her measurements, shoe and dress size, with the news that if she was the guitarist selected for the commercial, she would be playing the body double guitar performer for GE Capital’s Distribution and Sales Manager, Deb Barker, who works with Taylor Guitars as her client. The commercial shows Barker touring the Taylor guitar factory. At one point, she picks up a guitar and plays it as if she is a professional flamenco player. Computer technology essentially allowed Barker’s head to replace Temo’s in order to make it appear that Barker was the guitar player. ‘My one concern, however.’ Temo says, ‘is that I felt fairly confident that Taylor Guitars did not make classical or flamenco guitars so I was concerned that I would not be able to play the music on a steel string.’ Temo informed the producers that she could play any nylon string guitar. Technology neck, which is a bolt-on neck that allows for a straighter, more stable guitar neck. It is a separate and detachable neck where shims can be placed at the joint and the action can be easily adjusted without having to replace the saddle or bridge.’ Temo says. The next issue to contend with had been Temo’s Triple Star Nittaku ping-pong bail nails. ‘They were not camera-friendly’, she says, ‘and had to be dulled because of the concern about the bright white of the ping-pong nails creating a glare. I was hesitant but agreed to having pink matte-colored nail polish applied. Unfortunately, the polish was too thick and, after more attempts of applying and removing various polishes, this started to dissolve the ping-pong ball part of my nails. The shoot started at 5:30am and my first task was to record the two music scales in an office room where sound equipment had been set up. By early afternoon, I had to dress as Deb Barker but with my hair pulled up and green dots placed upon my neck so the technical wizards would know where to splice my head off after filming to replace it with Deb’s head. On the set, I had to figure out the best way to hold the guitar- whether to use a flamenco or classical position. ‘The Taylor guitar had a cutaway design and it weighed much more than a normal classical or flamenco guitar. I decided to sit in a classical position because of the comfortable familiarity and stability it gave me. The director asked if I could make the riff longer. I decided in that moment that this was my chance to put in some typically characteristic flamenco rasqueados and I played that scale every couple of seconds from 2:00pm to 10:00pm as the sound guys tried to hook me up during the filming in order to record this new riff. Also, the director shot from many different angles so I just had to play as consistently as possible. My work was finally finished by a round 7:00pm, yet I was called back immediately to ask if I could coach Deb Barker on my head movements when I had played the riff. I was not even aware that I had been moving my head when I was playing. ‘When I flew back home I received a call explaining that they couldn’t get a good sound take from the factory. So I was asked to fly to New York and record the riff again, but this time playing entirely new scale passage.’ The same number of notes had to fit the timing of the previous scale and I did not like the idea of different notes being played against the filmed version of my playing. The good news is that the creative director decided they would like me to play throughout the entire commercial from beginning to end. After a few days of rehearsing the material, I learned that the director decided he wanted me to play the original scale that I played on the set in California. I recorded this in New York and the agency edited the film so that the scale I composed that sounded like a nervous doodle riff was placed at the end of the commercial. In January of 2011, this commercial received an award at NAMM for being the top television commercial in the music industry. I am grateful and proud to have been a part of the process and I enjoyed working with everyone involved.’(The GE Capital / Taylor Guitar commercial can be found under ‘Unique Collaborations: http://www.youtube.com/user/marijatemo.) The success of this commercial and the filming experience has stoked Bob Taylor’s interest in considering the idea of creating his own line of classical guitars. Marija Temo’s program was heavily rooted in the flamenco tradition, though she certainly puts her own spin on it. She played one straight classical guitar piece, but mostly showcased her formidable flamenco guitar chops and her singing—her voice is a commanding instrument, with incredible power and control; it wells up from a place deep inside her and then seems to burst out of her small frame. It was a stirring performance, capped by her “flamenco-ized” (her word) arrangement of of the Paraguayan National Folk Song, Pajaro Chogui. Very entertaining. What a hot player, and a clever ad. They actually dubbed the head of a GE rep onto the body of Marija Temo for this spot. There has been some controversy brewing on the boards but I think the ultimate winners will be Marija and Flamenco. I had not heard of her until now, along with millions I’m sure, but I will be hearing much more. Check out her website and Facebook fan page. You’ll be glad you did. And by the way, it was great seeing Bob Taylor’s face on the screen. He’s one heck of a nice guy with a great product that really invigorated the American guitar making industry. Taylor did to the guitar industry what Toyota, barring recent misfortunes, did to the automotive. He created a product of value that spurred on an entire industry to do better. And we are all beneficiaries. Anaheim, January 16, 2011—At the Breakfast Session, NAMM awarded this commercial a 2010 Wanna Play? Award, honoring companies outside of the music products industry whose advertisements inspire more people to make music. Mikesgig.com is a site born out of a passion for music and the tools that create it. We will post articles on local and international bands and their music. Our concerts page will list free concerts featuring bands in your area. We cover live events and industry shows like NAMM and will post reviews and videos about musical instruments, recording gear and sound reinforcement products. We will be bringing you news and reviews of the latest and greatest in music making gear as well as retrospectives on iconic products from the industry pioneers. We promote the local bands in cities like: surf city nights, Huntington Beach, Orange County in California, Summer Concert at Fashion Island in Newport Beach, Santa Monica Pier at Santa Monica, San Francisco, New York, New York. We also list the hottest gears in music from guitars, keyboards, amps, software, drums, petals, everything that a musician would need. Free Concerts are also listed for the cities and counties of Orange County, Los Angels County, San Diego, San Diego County, including the listing of Orange County night clubs and bars. People who are passionate about what they love are a joy to behold, and their passion is infectious, making all of us cherish the things we love even more. Flamenco guitarist and vocalist Marija Temo certainly falls into that category. Her weekend performances under the auspices of the St. Louis Classical Guitar Society marked her St. Louis debut, hopefully the first of many. Not only did Temo spread her love of the flamenco style, but she also declared herself to be an enthusiastic fan of the St. Louis area, and her words rang with sincerity. Although still quite young, Temo began her studies of flamenco as a child, having found the rhythm and expressiveness captivating. For many of us, flamenco is indeed the soul of Spanish music, and it is surely one of the greatest gifts that Spain, with all its contributing cultures—Latin, Gypsy, Jewish, Moorish, African–, has bequeathed to us. Unlike those of us who find it difficult enough to master even one performing medium, Temo has studied flamenco guitar, song and dance, and is able to communicate the essence of each. It can be a challenge to maintain the momentum of a flamenco concert that features only one soloist or a very small group (although those of us who are aficionados would probably never tire of hearing a talented performer), but Temo responded to the challenge by including not just flamenco works, but also traditional Spanish favorites by Albeniz, de Falla and Granados, and even an Argentinian tango. Except for the classical works, most of the pieces were Temo’s own arrangements. Temo was joined on the second half by a local favorite, flamenco dancer Kristina Martinez. The two clearly worked well together, and happily neither overshadowed the other. Martinez is a local talent who should be more widely seen in our community. Marija Temo’s technical and artistic abilities were impeccable. The beauty of the flamenco style is that it combines aggressive, driving rhythms with subtle and sometimes soft-spoken melodies. Phrasing—perhaps the soul of music—was always intelligent, and was the master of the technique involved, not the other way around. Temo’s accomplishments give credit not only to her own talents, but also to those of her teachers and the Peabody Conservatory, from which she received her master’s degree. Although Temo is above all else a guitarist, her vocal technique should not be underestimated. The flamenco vocal style is a world unto itself, with finely tuned intervals and dynamic gradations. Success in the flamenco style almost requires total immersion into the entire flamenco culture. Indeed, as Temo indicated in a talk on Friday to area schoolchildren, flamenco is a way of life, not only a style. If I had any criticism at all of the performance, it would be that I would have liked for the guitar to project a little more, even if it required amplification from microphones, and perhaps also I would like to have heard more coloristic effects from the guitar, although this was offset by the addition of dance and vocals to the program. Temo performs on a hybrid classical/flamenco guitar specially designed for her by luthier Tom Rodriguez. The tone is soft and liquid, but here and there a more strident or aggressive tone might serve to highlight even further the more subtle effects that Temo so adroitly achieves. The St. Louis Classical Guitar Society, under the direction of Bill and Kathy Ash, has long been a strong player in the St. Louis arts scene, as their legions of loyal subscribers will attest. The next scheduled program will feature Spanish guitarist Pablo Sainz-Villegas on November 4 at the Ethical Society. For additional information, contact the Society at 314-567-5566.